Spring is just around the corner, right? As long as we have to wait out the last of the winter chills, we might as well do so by visiting a restaurant with a cozy, warm atmosphere and a working fireplace (or two!)! Luckily, there are a many of them here in Dublin, Ohio. Salvi’s Bistro greets you with their beautiful stone fireplace adorned with soothing water features right when you walk in the door! Both Dublin Panera Bread locations have fireplaces to enjoy your warm bread bowl full of soup. Cabo Cocina makes you feel like as if you’re in a lodge (albeit a Mexican themed one) with their exposed wood beams, stone walls, and grand fireplace. The Morgan House was once a log cabin, and what’s a log cabin without a fireplace?! (Very cold, I guess!) The restaurant is only open for lunch. 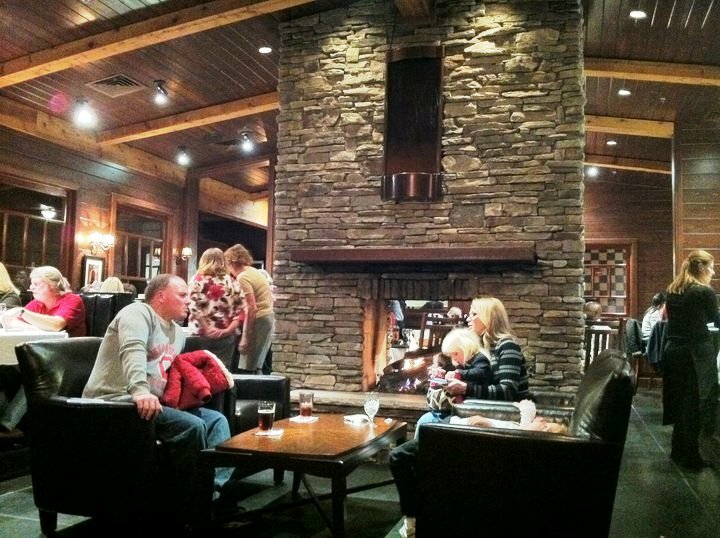 Everything about Dublin Ohio&apos;s Brazenhead Pub is snug and cozy - so, naturally, they have a fireplace, too! Digger and Finch has an enormous two-story stone floor fireplace separating the bar area from the dining room. Impressive & toasty warm! As long as you are going to indulge, enjoy one of Hyde Park Prime Steakhouse’s two fireplaces. How about enjoying a cold Margarita as you warm yourself by Las Margarita’s massive fireplace? Luce in Powell has a beautiful stone fireplace to greet you as you come in from the cold. At La Chatelaine in Historic Dublin, you can grab you food at the counter and a seat by the corner fireplace in the dining room. Montgomery Inn has a fireplace in their patio room--you just have to be the lucky one to get the table in front of it! La Scala has a fireplace but you might just prefer to sit in the bar and get warm from the huge brick oven cooking up all their pizzas and flatbreads. Some restaurants are so snug and toasty you might even think they have a fireplace! (I had to call and confirm they didn’t!) So even though they don’t, these restaurants get an honorable mention for their invitingly warm atmosphere: Tuccis, Matt the Miller’s, Longhorn Steakhouse, and PF Changs.